COMING SOON TO ANDERSON! 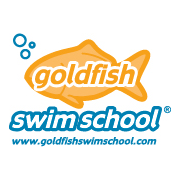 Every square inch of our unique facility is designed to enhance learning, fun and safety for every child and parent who joins the Goldfish family. You'll see and feel the difference the moment you walk through the door. For kids, it's an invigorating and fun place to be with best friends, make new friends and cultivate a love for swimming. For parents, it's a comfort in knowing their kids are safe, nurtured and growing.